The rise of ride-sharing transport apps like Uber shows yet again how mobile technology is upsetting the old order of things. 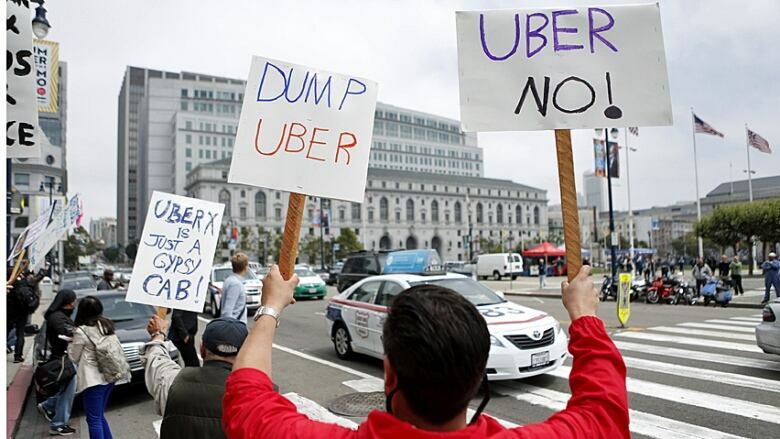 Lawsuits are flying and taxi demonstrations are jamming streets from London and Paris to Boston, all because smartphone apps like Uber aim to make it easier to hail a ride. Uber hasn't made huge Canadian inroads beyond Toronto and Montreal just yet. But the online ride-sharing service, along with similar apps like Lyft that are popping up around the world, has shaken traditional taxi services and drawn the ire of local governments. It also shut down many of Europe's capitals on Wednesday as taxi protests clogged streets in London, Berlin, Paris and Madrid. The reason behind all this cabbie angst is because Uber links riders with either luxury town-car services or non-professional ride-sharing drivers using personal cars, in the process largely circumventing the heavily taxed and regulated taxi and limousine services. If you look at the number of lawsuits that Uber and companies like it are facing, "it indicates major disruption," says Sidneyeve Matrix, a media professor at Queen's University in Kingston, Ont. "It seems like it's disrupting transportation licensing regulations all over the place, almost in a global sense." That disruption reflects yet another way mobile technology is changing the way we relate to the world around us, and creating a bandwagon effect that can take on a life of its own. Uber is coy about its financial numbers, but there is no denying the San-Francisco- based startup launched in 2009 is big business. Reuters reported last week that Uber has raised $1.2 billion from mutual funds and other investors in a funding round that valued the service at $18.2 billion, one of the highest valuations ever for a Silicon Valley startup. "It seems like it's part of such a big movement," says Matrix, noting how ride-sharing apps fit right into the so-called sharing economy, the internet-fuelled economic juggernaut worth many billions. Uber's rise also comes at a time when new ideas are emerging about how people want to get around in places where congestion has choked roads and public transit doesn't always offer the quick, smooth rides users want. "A lot of these things revolve around the new notions of individualized travel," says Anabel Quan-Haase, an associate professor in the faculty of information and media studies and the department of sociology at Western University in London, Ont. In other words, people want ways of getting around where they are more in control and not at the mercy of gridlock, crowded buses or transit schedules that just don't fit their lives. "Our cities are becoming so complex and so difficult to navigate," says Quan-Haase. "I think these devices are filling a niche, and a need really, to make transportation and the navigation of the city more seamless and more intuitive." Through apps like Uber, people can arrange a ride via a few taps on a smartphone, a more personal experience than calling a dispatcher and waiting for a cab to come, or standing on a subway platform waiting for a crowded train. "In the case of Uber for example, it really is up to where you are located in a city, and it goes to your own personal device and you see the driver coming to you," says Quan-Haase. The Uber user can see the driver coming by following on a real-time map in the app that uses the smartphone's GPS to determine the rider's location and find the nearest available driver. Uber attributes the response it has received from customers to that ease of use, in Toronto and elsewhere. "In Toronto, I think what it really was was just pent-up demand for a reliable, affordable and user-friendly transportation experience," says Ian Black, Uber Toronto's general manager. "If you look back over five years, taxi services in the city were not always that user-friendly, were not always that reliable, and transit services, while more affordable, aren't particularly efficient." Uber noticed similar scenarios in other cities, he says. "There was a gap in the transportation market, and people were very eager and very keen for a solution that was easy to use, that leveraged technology and that made the whole experience seamless." Seamless, maybe, for riders, but not so for taxi companies and those who set the rules about how transportation works in their cities. "I don't think it's fair," Christine Hubbard, operations manager of Beck Taxi in Toronto, told CBC News last month. "You require a licence to operate in any city, and the idea that they are projecting themselves as a company unlike others that are already operating and that are licensed is false." Such concerns from the taxi industry don't seem to faze Black. "We're less focused on the outcome there. For us, it's really important to support riders and to support drivers," he says. "Taxi companies have traditionally had a very protected place in the industry where they've been able to take from drivers, sit in the middle of drivers and riders, and take profits off of that." Uber's technology simplifies the process, and change is inevitable, Black says, noting that the company's focus in Toronto is on serving riders and drivers "and then working with the city to find a good solution in that respect." Governments across the U.S. and in Europe have also wrestled with what to do about Uber and the similar services. In early June, Colorado became the first U.S. state whose legislature passed a law regulating such companies. In Virginia, meanwhile, the state's department of motor vehicles issued cease-and-desist letters to Uber and Lyft last week. Protests also show no sign of slowing down. 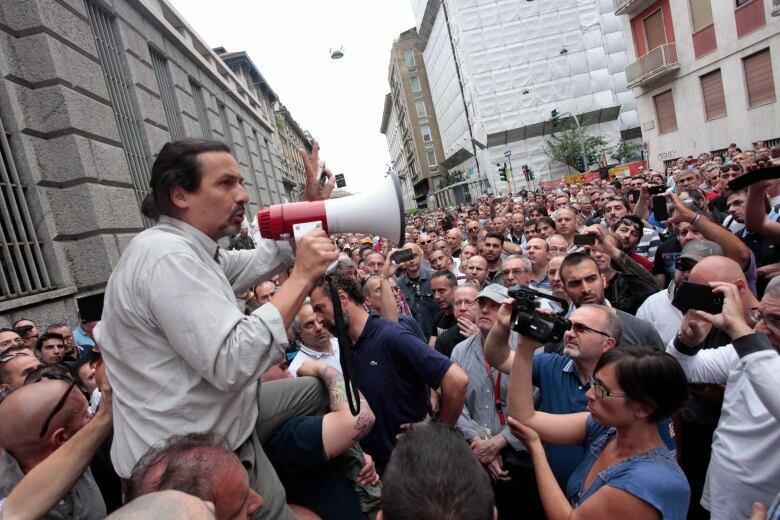 Taxi drivers across Europe say services such as Uber's are breaking local taxi rules in the EU and threatening their livelihoods, and have been holding strikes and other protest actions from Paris to Milan. "They're killing us off, starving us out," said Mick Fitz, who has been driving a London black taxi for years. "With their taximeter, their apps that they use, their technology, those are taximeters basically, which by law only we are allowed to use." Uber arrived in Toronto in February 2012 and Montreal in November 2013. In Vancouver and Calgary, initial forays were less successful, and push-back from cab companies and regulators forced Uber to abandon expansion plans there. Black says adoption in Canada isn't slower than elsewhere in the world, where Uber is now operating in 110 cities. "I think if we look forward a few months, a few years, we'll have an opportunity to bring Uber to other cities across Canada," he says. "As Uber has grown to almost 40 countries, the focus has really been on establishing a presence in those countries and then growing that presence over time. I think we'll see that happen in Canada." Black won't reveal any numbers, not even how many rides the company arranges on any given day, but says, "it's a very big number." The company is trying to branch out, offering a water taxi service in Ontario's Muskoka cottage region over the Victoria Day long weekend, and is planning to continue that over long weekends throughout the summer. "Our riders who were involved in that experience had big smiles on their faces," said Black. "The partners that we worked with in Muskoka found it to be a fabulous experience and it was great for us … to be able to show off our ability to take our technology and use it in new and exciting ways." Uber also is offering rides in an increasing range of vehicles, something Matrix takes as an indication it is getting "more sophisticated" and "more segmented." And she sees more change ahead for the transportation industry. "It's evolve or die," she says. "If this is about crowdsourcing, if this is about digital and mobile technology [that most people have], that's a force to be reckoned with." 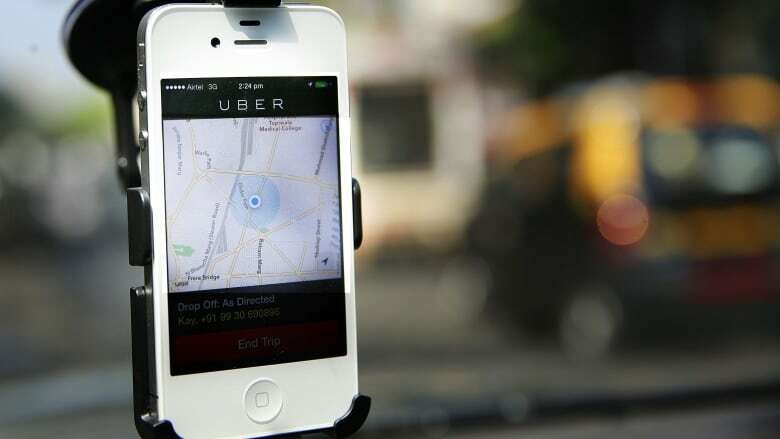 For Quan-Haase, Uber and similar apps are also an example of a more fundamental change afoot. "You're observing the city as an individual and you have an individualized experience within this urban space," she says. "I would say that that's radically new and that we will see that being pushed further because we will have more and more services that are specialized toward the needs of each of the individuals within that larger city."